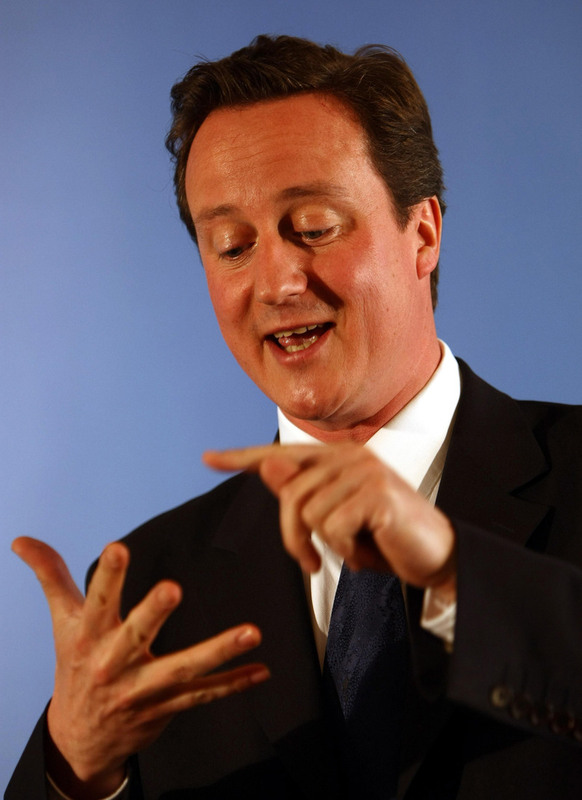 And after using it total of 15 times during that speech, ‘austerity’ was firmly implanted into the public consciousness. Over the next two years the word both vastly increased in usage and subtly changed in meaning, bringing with it some contentious ideological connotations. Where ‘austerity’ previously referred to the economic pretext for a deficit reduction plan, it was now being used to refer to a ‘deficit reduction plan’ itself. If ‘austerity’ can refer to the same thing as ‘programme of government spending cuts’ or ‘deficit reduction plan’, why does it make any difference which is used? The problem lies in how the word construes the concept of spending cuts, i.e. the mental images and conceptual associations that arise from it. This is illustrated by comparing ‘austerity’ with the alternative ‘cuts’ to show how they construe government spending reductions differently. 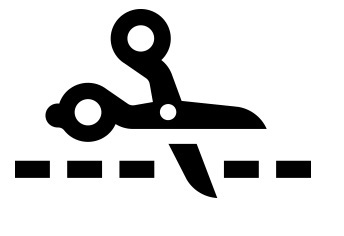 ‘Cuts’ – evoking the verb ‘to cut’ – implies a physical process of cutting and an agent required to do the cutting. That is, you can’t have cuts [in paper] without a pair of scissors and a pair of hands to wield them. In contrast, ‘austerity’ requires no such agent, and like the adjective ‘austere’ implies a quality rather than a process. ‘Cut’ is also a count noun – you can count one cut, two cuts etc. This highlights the individuation of one ‘cut’ from another as bounded entities. Austerity, however, is a mass noun, meaning you can’t have one austerity, two austerities etc, just ‘austerity’. This construes austerity as an unbounded substance, something we ‘go through’ or are ‘in’. These properties of hidden agency, quality-not-process and unboundedness aren’t problematic of themselves, but in certain contexts can create pernicious ideological effects. The hidden agency allows ‘austerity’ to mask the government’s role in the cuts. It merges seamlessly into discourse that presents the cuts as just a situation we happen to be in, or an inevitability due to ‘the mess that Labour left’, rather than something the current government is directly responsible for. The quality-not-process property can elide the sense that spending cuts have material effects. A cut must be cutting something, but austerity is merely there. This can assist in diverting attention away from the individual human consequences of the cuts, to the more abstract domain of economic benefit. The unboundedness can present austerity as amorphous and beyond control. This lends itself to the metaphorical presentation of cuts as a natural “environment” that we just happen to be in – like as a weather condition. And just as there is futility in battling the weather, this metaphor maps that futility onto battling ‘austerity’. Contrast the triumphant knocking down the [bounded, concrete, man-made] Berlin Wall with Xerxes’ pointless lashing of the [unbounded, amorphous, natural] sea. To use or accept the word ‘austerity’ uncritically can lead to these associated inferences being activated and legitimised. Any argument against the principles of government public spending reduction will have to battle through those tacitly accepted implications. Construal effects by no means control our understanding – these frames can be rejected and dissected. But they do help to guide the public’s perception of complex political issues when they are not openly challenged. Unfortunately, the opposition largely ceased to do this after the 2010 election, and often utilises the language of austerity in the same breath as denouncing it. Got me looking to this. Fascinating stuff. ‘Austerity measures’ does seem to have had some currency pre-2009, but largely only in financial circles (there are references on the IMF website back to 1997) and in a handful of news articles about ‘developing’ countries. Recent reports however use it almost exclusively to refer to government spending cuts: austerity measures, protestors being described as anti-austerity, and here as an antonym for increased government spending. Absolutely FANTASTIC work here Jones. I agree with everything you have said here, but I have the luxury of distance in which to be critical about this (bear in mind that at least you don’t live somewhere as brazen as to use phrases like ‘Golden Diamond Springs’ to describe fetid, polluted mining villages. I happen to live in the ‘City of Eternal Springtime’, which I am yet to find any evidence of). I also think that the word ‘austerity’ itself belies the real ethos of the Tories – when I was younger we used to talk about austere schoolmarms, boarding schools, church vicars – it is an archetypal Victorian word meaning ‘this will hurt, but it’s for your own good’, isn’t it? I actually think they have done an extremely good job of taking a word which so neatly expresses all the contempt the right-wing have always had for the plebs, and unmooring it from its signified so that, like ‘freedom’ or ‘democracy’ or any of those other spin words, it has just come to represent an amorphous blob of nothingness. Thanks-a-many Dubya-Jones! The only British place name that holds a candle is Leamington Spa. Could never live up to the image of it just being a massive spa. It’s a very good point about Tory ethos, and I was toying with talking more about how ‘austerity’ ties in with traditional conservative mythology – unified British character, wartime solidarity, stiff lipped self-sacrifice. But I think on the last of those I would have missed the mark – as you say, it’s only self-sacrifice within the purview of Tory ‘ethics of servitude’. (Hence the golden sodding throne). With a little distance it seems utterly predictable of a conservative government to dive into British popular history to present themselves as having political and moral continuity with the past. But that all the mainstream political parties have adopted it is even more worrying. Another interesting point re:authority – It’s been noted how by creating a common abstract public enemy in the same manner as in ‘real’ war, you can exploit the public tendency to converge around authority figures in times of crisis. (I believe Naomi Klein’s Shock Doctrine argues along these lines, but I’ve not read it). So it’s interesting to note how the WWII implications of ‘austerity’ support the broader metaphor of FINANCIAL CRISIS = WAR – fighting/battling recession, recession as common enemy etc.